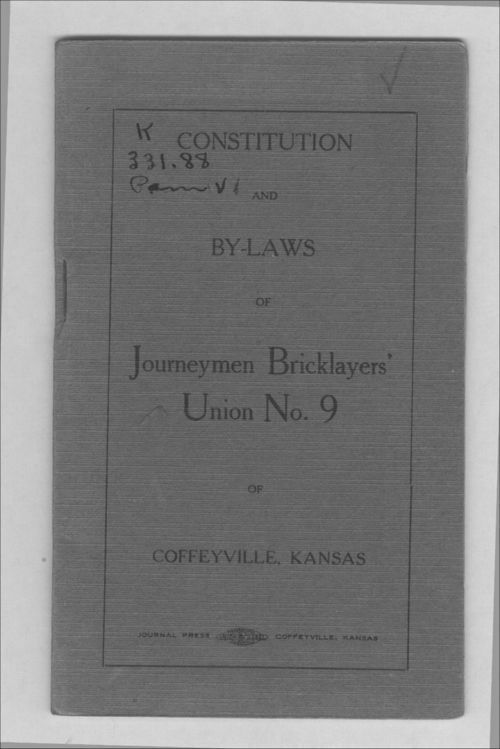 The constitution and by-laws of the Journeymen Bricklayers' Union No. 9 of Coffeyville, Kansas. The purpose of this union was to unite and associate all bricklayers to help secure work that was in their best interests.